The Winnix Cryptor ransomware is one of the newest reported malware threats that infects target computers and extorts money from the victims to restore their data. Solution #1 Winnix Cryptor Ransomware can be removed easily with the help of an anti-malware tool, a program that will clean your computer from the virus, remove any additional cyber-security threats, and protect you in the future. Winnix Cryptor Ransomware can be removed manually, though it can be very hard for most home users. See the guide below. Winnix Cryptor ransomware is a new threat that has recently been reported by security researchers. It features typical ransomware behavior – when infection is complete, it encrypts target user files with a storng cipher and extorts a ransom payment fee from the computer owners to restore their data. After you complete your payment, send an email to [email protected] with YOUR ID as subject (ID is in the end of the file) and you’ll receive private key, needed software and step by step guide in 1 business day. Offer is valid for 5 business days (expiration date is in the end of the file). AFTER TIME IS UP, PRICE DOUBLES. No discounts, no other payment methods. Do not forget about the transaction commission in the Bitcoin network (= 0.0005). HowToBuyBitcoins.info – discover quickly how to buy and sell bitcoins in your local currency. According to the note the criminals demand a fee of 4 Bitcoins which is equivalent to about 2800 US Dollars. 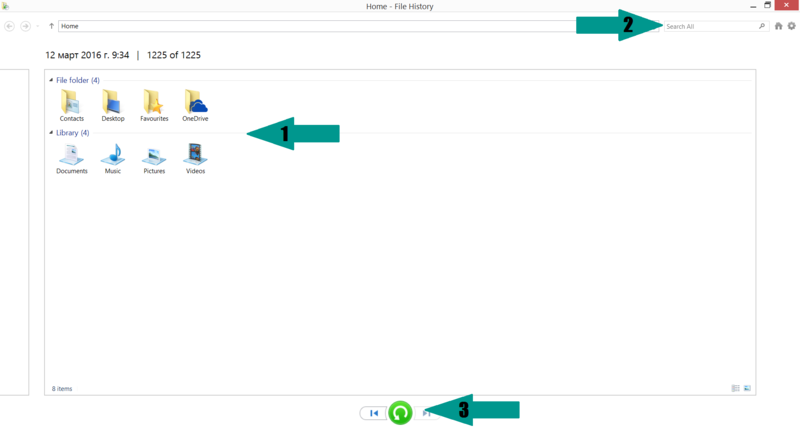 All affected files receive the file name extension WNX. To further pressure the users, the hackers have als added a time limit of 5 working days. 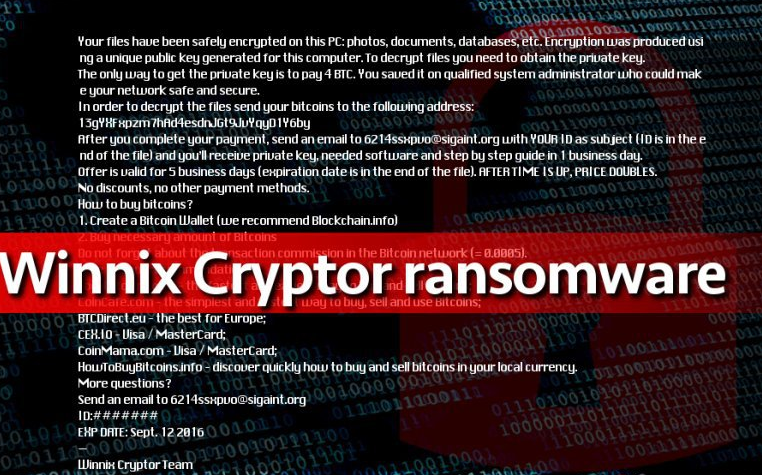 The Winnix Cryptor ransomware can be distributed via various means – email spam campaigns, malicious ads, browser hijacker redirects and software bundles downloaded from untrusted sources. We highly recommend that you follow good security practices to stay protected from this and other threats. For a faster solution, you can run a scan with an advanced malware removal tool and delete Winnix Cryptor completely with a few mouse clicks. Manual removal of Winnix Cryptor requires being familiar with system files and registries. Removal of any important data can lead to permanent system damage. Prevent this troublesome effect – delete Winnix Cryptor ransomware with SpyHunter malware removal tool. For a faster solution, you can run a scan with an advanced malware removal tool and delete Winnix Cryptor Ransomware completely with a few mouse clicks.